You can download iOS 11 beta 5 IPSW or OTA update for your iPhone, iPad and iPod touch device after Apple released the developer-only release today. Here are the details. Under normal circumstances, a 5th beta wouldn’t exactly be cause for excitement levels to be raised. However, in this particular instance, this isn’t just a 5th developer seed of a platform, but rather it’s a 5th developer seed of iOS 11, which is essentially Apple’s greatest leap forward where it’s mobile platform is concerned. The global roll out for everyone is expected to happen later this year towards the end of September when Apple’s next-generation range of iPhones drop. September seems like a long time away at the moment, but trust us when we say in the world of software development it represents an extremely tight deadline in order to get iOS 11 ready for the influx of users it will receive, both on new and old hardware. With that said, Apple is already developing a steady pace when it comes to pushing updates out, meaning that if it continues on this trajectory, then there should be no real worries when it comes to ensuring that iOS 11 is in tip-top condition when September arrives. Apple’s previous iOS 11 developer seed – beta 4 – introduced a number of important steps in the right direction. 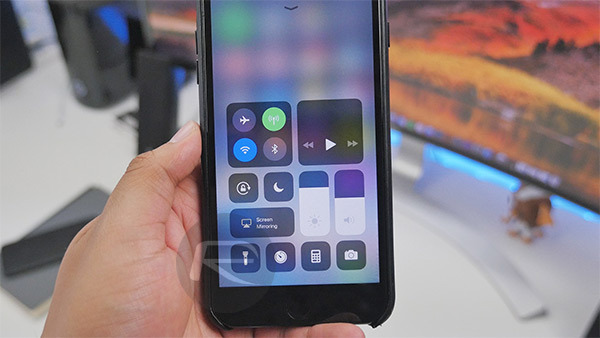 Apple managed to fix a number of issues with how AirPlay works and behaves on iOS 11 devices, as well as resolving some niggling issues around the 3D Touch experience. There were also some improvements made to the underlying ARKit framework, which will undoubtedly power a new wave of immersive and wonderful app experiences on Apple’s devices. Apple also managed to introduce some updates stock app icons as well with beta 4. We’re expecting a similar level of commitment with beta 5 that we have had with the fourth beta, which means that we are expecting this one to be noticeably more streamlined, noticeably more power efficient, and much friendlier on installed devices. 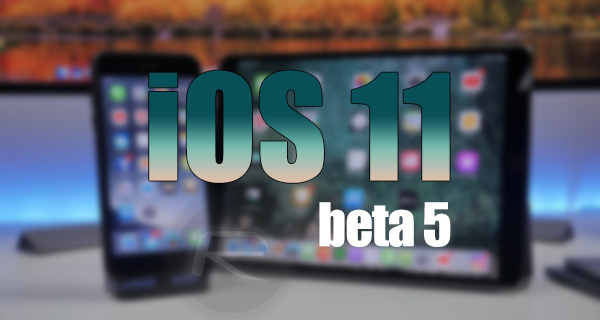 For anyone with a passionate interest in trying out iOS 11 and everything it contains, can find out exactly how to get up and running with it here: Download iOS 11 Beta 5 & Install On iPhone 7, 7 Plus, 6s, 6, SE, 5s, iPad, iPod [Tutorial]. This particular version is currently only available for registered developers of the Apple Developer Program, but it will be released as public beta 4 to testers of Apple Beta Software Program very soon.